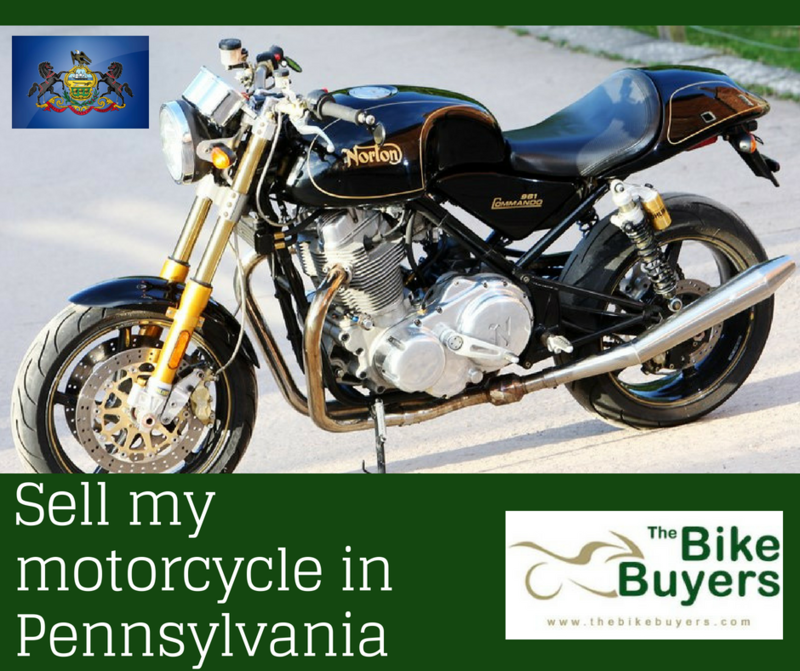 Sell My Motorcycle in Pennsylvania. The Bike Buyers is the leading wrecked, damaged, totaled and used motorcycle for cash service in the US. We do a quick cash buy for all vehicles in Pennsylvania. Paying you money for removing all motorcycle makes and models makes sense if you are tired of having the vehicle just sitting around. Only TheBikeBuyers.com offers you to pay the maximum cash for your motorcycle. We pay cash as much as possible in Pennsylvania. We are top priority buyers of USA. Sell any motorcycle for cash offers in USA to TheBikeBuyers.com. We are working in this filed from 25 years. There is no hassle during dealing with us. You can contact directly to our customer representatives by dialing following phone number 877.751.8019. You should fill our Get a Quote form for enjoy our offers.